While striving to raise employee awareness of the importance of professional development, the SOMPO HOLDINGS puts a great deal of effort into developing personnel who are both willing to contribute to society and capable of addressing diverse customer needs. We do this by offering fresh perspectives and providing well-thought-out training programs. In order to become the Group in which diverse personnel (gender, nationality, previous careers, etc.) can demonstrate their strengths and contribute, we are conducting personnel exchanges in the Group called "Exchange Program" to provide opportunities for employees from overseas Group companies to work at various departments in Japan. We aim through this program to build relationships between the Group companies in overseas and Japan, to enhance English communication skills and cross-cultural competence among the receiving departments in addition to sharing skills and knowledge. We started this program in fiscal 2014. In fiscal 2017, we received 13 employees from 6 countries, and 11 departments in the domestic Group companies welcomed them. So far, 45 employees from overseas Group companies have participated in this program. Both short-term participant for one month to three months and long-term participant for 1 year are assigned to certain roles as a member of the host department and working with a sense of purpose and meaning. After returning to home country, they will utilize the knowledge and experience gained through the program to improve the quality and system in their companies. In addition, since the host departments use English as the official language, it also contributes to improvement of language skills and cross-cultural communication skills of Japanese employees. We will continue to lead the business on a global basis and to develop human resources with knowledge, experience and a broad perspective. SHIS, is a one-week training seminar for local staff from countries outside Japan. The seminar was attended by individuals representing our Group companies overseas. At the seminar, relevant departments give lectures and the participants make presentations. The goals are to share the Group Management Philosophy and the Group’s strategies, nurture management-level staff at overseas bases, and foster a greater sense of belonging within the Group. Through visits to places such as Group companies and other sites in Japan, the participants gain a deeper understanding of the Group’s initiatives to become the best customer service provider both at home and abroad. The seminar offers a meaningful opportunity to learn more about the Group’s services and businesses in Japan. We established a corporate university named SOMPO Global University in October 2012 with the aim of developing people who can lead the future management of SOMPO Holdings on a global basis. This program consists of two pillars: A. 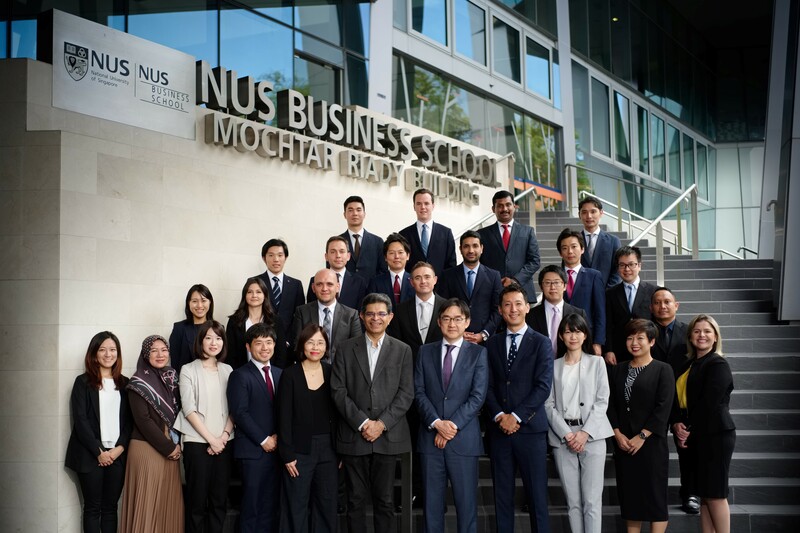 “Gaining management knowledge” at the world-class NUS Business School, and B. “Overseas OJT Training” for putting into practice what he or she learned at NUS. The program has three main features: (1) participants are selected from not only Japan but all over the world; (2) the program combines learning as well as practice; (3) OJT at global companies other than companies in our group. A total of 97 participants from fourteen countries have participated in this program as of FY2016. We have developed global employees, coming from many countries, with knowledge, experience and broad viewpoints. Going forward, we will form a globally competitive personnel organization through this program.